PRODUCT DESCRIPTION: A granular material which is designed to repel rodents from treated areas. Safe to use around children and pets. Designed to keep new rodents from coming into the home but will not get rid of the ones you have. 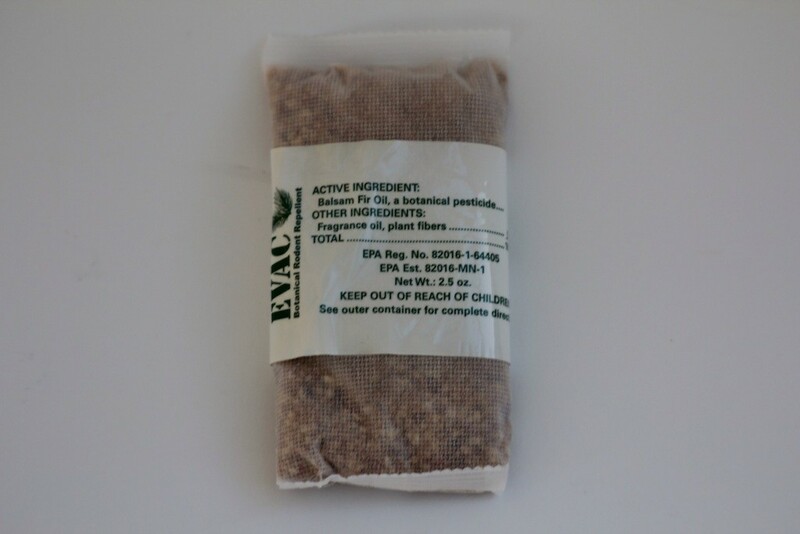 Evac is packed in 2.5 oz placement packs that are individually sealed for freshness. WHERE TO USE IT: Use in non living spaces of the home like crawl spaces, attics, wall voids, cellars, storage areas, garages, sheds, pantries, barns, knee walls, etc. May also be used in RV's, airplanes, boats, tractors, trucks, carts, etc. 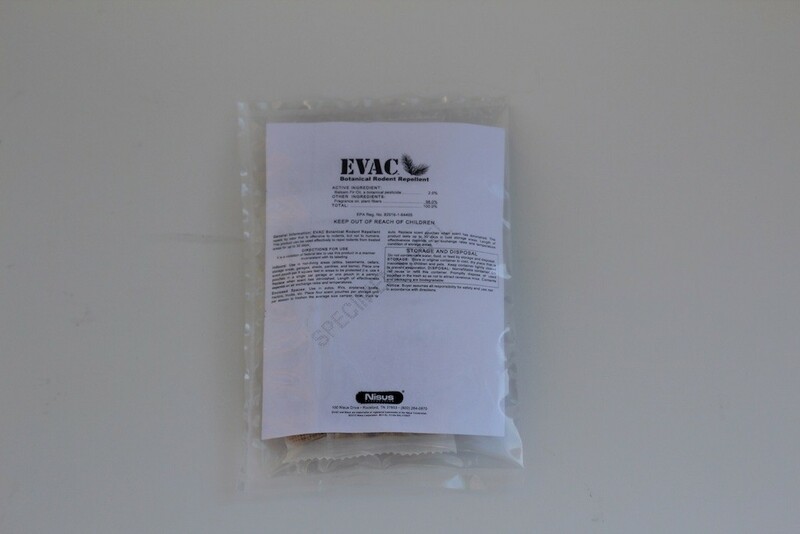 RATE OF APPLICATION: Set one pouch of Evac out for every 8 square feet you want to protect. Placements will remain active for at least 30 days.